Jonathan Edwards (1703-1758) gives Peter van Mastricht great praise in a 1746 letter to Joseph Bellamy, “But take Mastricht for divinity in General, doctrine Practice and Controversy; or as an universal system of divinity; and it is much better than Turretin or any other book in the world, excepting the Bible, in my opinion.” From what little we have of van Mastricht, Edwards’ commendation rings true. In contemporary Christendom Peter van Mastricht (1630-1706) is little known. Mastricht was of Dutch descent, was converted at an early age, attended college and was well educated. While serving as a pastor, Mastricht completed his master of arts and doctor of theology degrees at the University of Duisburg in 1669. He was an avid theologian in the theological school of thought via Hoornbeeck and Voetius, and was a prominent theologian. Soli Deo Gloria in 2002 published a short work on Regeneration by van Mastricht which is one of the best treatments of regeneration in print. This little evaluation / summary is of his work, “The Best Method of Preaching,” which is a mere 60 pages. 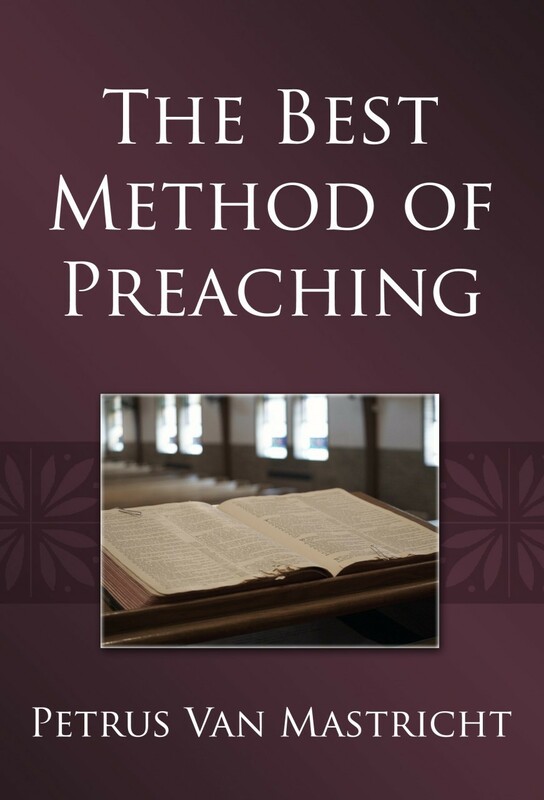 However, it is theologically and biblically packed with a very important treatise on the best method of preaching. The title gives away the intent! Preaching is the transmission of the mind of God to the people of God through exposition. Van Mastricht said, “Christian theology is not theoretical, or theoretico-practical, except from its method of treatment…but it is purely and especially practical.” Mastricht saw theology and preaching as inseparable. Theology aims at leading a person to knowing the truth of God for the purpose of bringing about saving faith in Jesus Christ. God, then, ordained preaching as the mode of this transmission of teaching. This work, then, is Mastricht’s explanation of how to preach in the best possible manner for knowing Jesus Christ and him crucified. 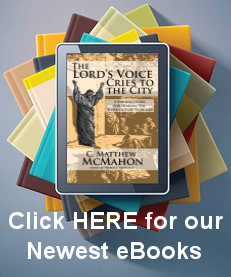 In explaining this subject, Mastricht does not give us a “whole” treatise on homiletics. Instead, he gives us the ever-important integration between theology and how to communicate theology in preaching. Yes, there is a difference between this and homiletics. What makes this work even more helpful, is that Mastricht will use Colossians 3:1 as a text that he works through throughout the book in order to give the reader examples of how each stage of his explanation is practically applied. I will not mention his examples. The reader can peruse those at their leisure in the work. Mastricht says he has found that this particular method, the best way to preach, is the easiest and least cumbersome to his hearers. Interestingly, he makes a plea for “more is better” in preparation because the minister can more easily cut away further study from the sermon than add to it once they are in the mode of homiletics. Preparation is important because the minister ties his meditations of the text on universal ideas that he can always go back to at another time for further study. Hearers can follow more easily a shaped sermon than random ideas. Such preparation orders his thoughts with the goal of the practice of piety for the hearer before the face of God. Over-preparation does not mean that the minister brings into the pulpit all he studies. He only uses that which has gone through the process of preparation, which Mastricht will further explain. There are four things that must be observed in preaching: invention, arrangement, elaboration, and delivery, which, in turn, faithfully extend outstretched, helping hands to each other. Invention is either relating the argument to the people or a text suitable for the argument. The arrangement (dispositio) is that by which the things invented or being invented are reduced to something pleasing first to the intellect and then to the memory in an order analogous to the subject matter. The introduction is constructed for many reasons, yet it is derived from the coherence of the text of the bible. Introductions are not stories about Uncle Melvin’s moonshine operation or the preacher’s sudden interest in poetry. It should, first, cohere with the matters in a theological unit, its substance cohering most nearly either with what precedes or with what follows. It is introducing the text in the clearest possible manner. Introductions should not seem prideful, far-fetched, long, or foreign to the text previously read. Mastricht correctly states, “it [is] most useful to construct for the introduction a brief and meaty analysis of the whole chapter, by which the text is divided up so that, with respect to your hearers, not only would the analysis more easily follow the coherence of the text, but it would also draw out a summary of the whole of any chapter.” Yes, I quite concur. Preach the text. includes two things: the analysis, in which the content is divided into its own parts and the members of the parts, so that the function of each may come into full view, and the answer to such simple questions about the text such as who, what, why, how, and when of the subject matter. The preacher here must explain the text thoroughly. He should take sufficient explanation from his argument about the text, and the explicated parts should be tied together again in a certain paraphrase so that the doctrinal argument emerges more easily. Next, there is the application of the doctrine, or arguments about the doctrine, one which concerns the truth of the argument, and the practical, which concerns its goodness. If there is need, there may be refutations given of false ideas about the arguments given. Such arguments should be solid and useful, helping the hearer understand the importance of the arguments surrounding these ideas. The practical application follows all this, which comforts the believer, or gives the believer a use to practice. Mastricht thinks that consolation should be given before uses, because when consolation is put in the last place, it blunts the sharpness and efficacy of the preceding practice. So consolation should be less frequent than the rest of the practical uses. When the preacher preaches against sin, he sometimes gives a rebuke, sometimes an admonition, and sometimes a grievance. He must give remedies to these, and demonstrate how those remedies are acquired. At this point, the affections of the hearers should be aroused, and Mastricht says, “The affections to be roused here are especially: (1) shame arising from the indecency of the reprehended evil; (2) fear of the communication of penalties; and (3) a hatred and detestation of both, emerging from both the threats and the contemplation of divine judgments.” The preacher must take time in preparation to adequately deal with these practical applicatory ideas. Mastricht briefly deals with the hortatory use, where a doctrinal argument is given attention for the purpose of exciting a zeal for virtue or any good work. All this must be considered under the terminus of an action or of a good work, or, the point or end for which the work is done. The preacher is to give solid reasons why such actions should be made by the hearer in their desire toward a good work to glorify God. After having the parts of the sermon laid out (introduction, exposition, doctrine, application) Mastricht says a couple of important points must be observed: First, all texts do not admit each and every one of these parts because some may be too long. So the preacher must be able to condense the information relevantly. Second, a text could be so filled with information that there is not enough time, nor the capacity of the hearers, always allows the preacher to go over every use. Selection is here to be committed to the prudence of the preacher. How should the preacher handle a long text then? Some considerations are that long passages are briefly exposited according to the laws of textual exposition. However, the preacher should have done his homework on the entire text, with all its study. He is simply to trim down what is needed in a specific sermon. Or, the passage could be explained, and a series of sermons could be given in an expository manner on each use. Concerning delivery, Mastricht only touches on gestures which are fitting for the sermon, which should never be suitable to move to laughter rather than to pious affections. Williams, Stanley, T. ed., “Six Letters of Jonathan Edwards to Joseph Bellamy,” New England Quarterly 1, no. 2 (April 1928): 230. Van Mastricht, Peter, The Best Method of Preaching, (Grand Rapids, MI: Reformation Heritage Books, 2013) 7. Mastricht calls this a syntagma, or a linguistic unit consisting of a set of linguistic forms (phonemes, words, or phrases) that are in a sequential relationship to one another.